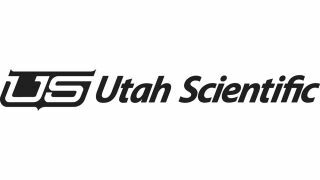 Utah Scientific will be showing the latest developments in its UTAH 400 Series IP product line at the NAB IP Showcase, booth N4824. It’s booth is sponsored by AIMS, SMPTE, VSF, AMWA, AES, MNA, EBU, and IABM and will highlight the new SMPTE 2110 and SMPTE 2022-6/7 standards. "We are delighted to be showing our newest technologies at the IP Showcase in the North Hall," said Scott Barella, CTO and VP of Engineering at Utah Scientific. "With the new SMPTE 2110 standard evolving and the more mature 2022-7 standard, we are well on our way to leading users into a hybrid world where IP and SDI will be working side by side for years to come. These new products illustrate our intention to deliver on what the market needs now and in the future." The Utah Scientific 400 Series IP products will demonstrate core interoperability with over 50 members at the NAB IP Showcase located in the North Hall of the LVCC, booth N4824. Attendees can also see this hybrid SDI and IP environment at work in the Utah Scientific booth at N4506. More information about Utah Scientific is available at their website.